Educated as a botanist and trained by NASA as an information engineer, Marjorie (Margie) Hlava has worked behind the scenes for most of the major information organizations. Through over 2,000 engagements at Access Innovations, she has been at the cutting edge of our technical innovations and their implementations for her entire career. She worked for five years at NASA, logging up to 20 hours per week as an online searcher in the early days, using the systems and giving feedback as they developed. She was a beta tester on the NASA Recon, Dialog, and other early systems such as BRS and SDC. She was also the Information Director for the DOE National Energy Information Center and its affiliate NEICA. She rose to the position of Information Director before taking her team private as Access Innovations, Inc. in 1978. Her research interests center on speeding the human processes in knowledge management through productivity enhancements. These are deployed to working methodologies and software for the automation assistance of the human brain in organizing information. She has developed the Data Harmony software suite specifically to increase accuracy and consistency while streamlining the clerical aspects in editorial and indexing tasks. The automation of the indexing process is done using the M.A.I. software, which can batch process legacy content and assist in the ongoing production system. For the capture and creation of metadata, the XML Internet System (XIS) was created. To manage thesauri, taxonomies, and ontologies, Thesaurus Master and, more recently, Ontology Master have been developed. The most recent innovation is applying those systems to medical records for medical claims compliance in a new Data Harmony application, Access Integrity. Margie believes that you learn as much as you receive by being active in professional organizations. She has been intimately involved in the standards process for much of her career. Knowing that a good standards base will broaden adoption of technology, she works to keep them current with the technical possibilities in order to enable development. 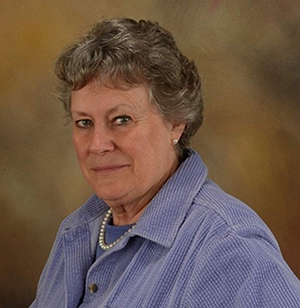 Margie served for seven years on the NISO board, chaired the SLA Standards committee for nine years, has chaired the NFAIS Standards committee since 2001, and is currently a member of the NISO Content Collaboration Topic Board. She was specifically involved in the work on the NISO standards for thesauri and controlled vocabularies (Z39.19), Dublin Core (Z39.85), DOI (Z39.84), and Contributed Metadata set for the DOI. Margie served as NFAIS president from 2003 to 2004, and has served on the board of SLA twice, was president of the American Society for Information Science and Technology (ASIS&T), president of Documentation Abstracts, president of ASIDIC, and Treasurer of IIA at the time of its merger with SPA to become SIIA, as well as having served in many board, committee, and editorial positions within each of those organizations. She currently serves on several boards, including those for the ASIS&T Bulletin (Chair), Information Systems and Use, Places and Spaces, University of North Carolina SLIS, and the SLA Taxonomy Division (founding Chair). She also gives back to her local community, serving on the boards of the New Mexico Information Commons, the Hubbell House Alliance, New Mexico Data Stream, and the Hubbell Family Historical Society. Margie’s work has been acknowledged through numerous awards throughout her career, including ASIS&T’s Watson Davis award, the SLA President’s Award, recognition as an SLA Fellow, and as an Albuquerque Business First Woman of Influence for Technology. In February of 2014 she was awarded the Miles Conrad lectureship for NFAIS and in November of 2014, she received the ASIS&T Award of Merit. Marjorie is a popular speaker on topics involving information organization, semantic enrichment, and taxonomy and thesaurus creation. She is the author of multiple books and over 200 articles, including her newest publication, The Taxobook, a three-volume collection on the history and implementation of taxonomies. She holds two U.S. patents encompassing 21 patent claims. Her long term plans are to continue her adventures in Information Science and explore the boundaries of new technology and methodologies.